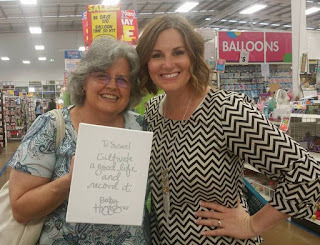 I got to meet Becky Higgins at my local Spotlight store this week :) She is so nice! We made a few pocket pages a la Project Life and she answered everyone's questions about anything and everything. Then she signed post cards and canvases for us and posed for photos too. Her crew were also marvelous and friendly. What a good afternoon! I also discovered that there is a Becky Higgins Project Life APP! And you can get the Stampin' Up! Project Life KITS on it! I downloaded the app right away and will be experimenting with it, maybe making page layouts on my phone. 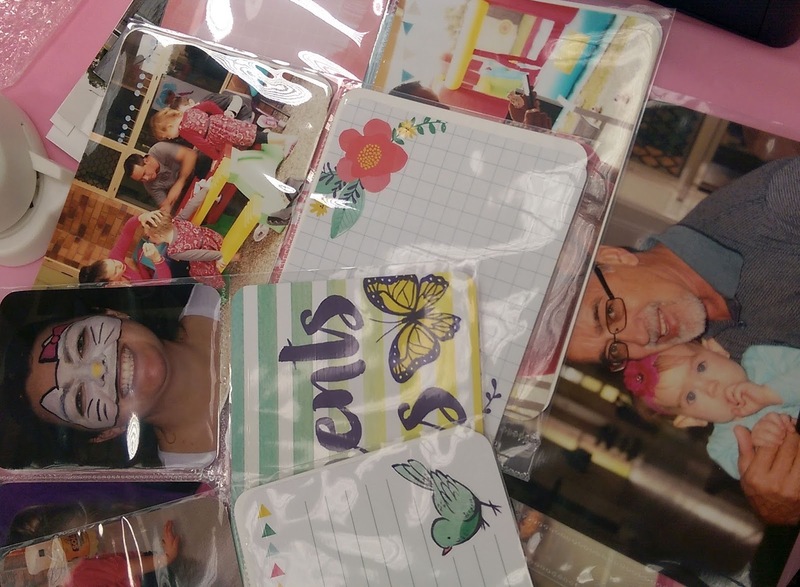 You can get your pages printed at Big W. How about that?? Thanks, Becky and crew. You gave me a very special memory.